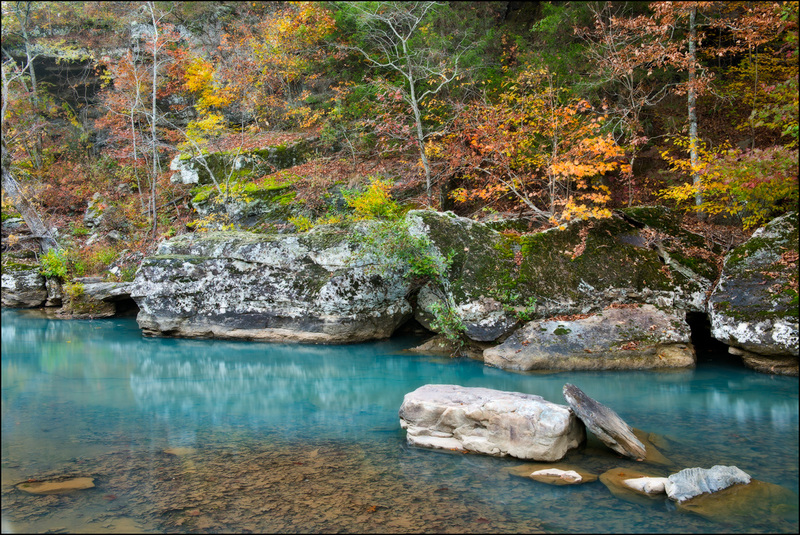 Clear blue pool of water along a portion of Falling Water Creek in Arkansas. The unique geology and lack of pollution combine to make this one of the prettiest streams in America. Recent threats from logging and other man-related sources have threatened the health of the stream over the past few years. Photo © copyright by William Dark.